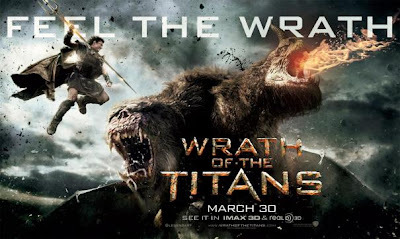 Set after the events of 2010s Clash of the Titans, this sequel to the greek mythology adventure picks up with Perseus (Sam Worthington) raising his young son Helius (John Bell) alone after the death of his wife during childbirth. 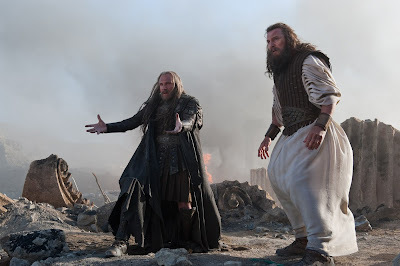 After a series of unfortunate events sees Perseus' father Zeus (Liam Neeson) imprisoned in the underworld by his son Ares (Édgar Ramírez) and brother Hades (Ralph Fiennes), it is up to Perseus to save his father and the world from the impending threat of the rising titans and Kronos - with a little help from his accomplices Agenor (Toby Kebbell) and Andromeda (Rosamund Pike). It clear from the start that the film has set out to achieve a number of different things, but unfortunately it fails to successfully carry any of them through. The blockbuster budget brings with it a number of expensive CGI creatures and ambitious battle sequences that should excite and entice the audience - instead however the film drags, bores and fails to excite in any way at all. The acting class is stellar with huge names like Neeson, Fiennes and a small cameo from Bill Nighy providing a minor highlight in what is an overly dull film - however the characters are poorly established and lack any depth, making the audience fail to care for them at all; part of the reason why the film is so dull and boring. The filmmakers involved have gone on record to say that they have tried to create more emotion in the sequel, pointing it out as a fault of the first, something that they believe to have fixed through the sub-plots and themes of father and son relationships - all of which fail to encapsulate the audience who just don't care because of its poor execution. The death of Perseus' wife also attempts to establish emotion and the father and son relationship theme, as well as to enable a new love story between Perseus and Andromeda's characters, however it's almost like the filmmakers forgot to include it and simply tacked it on at the end of the film with a cliched on-screen kiss - with no hints, build-up or character development in their relationship it completely comes out of the blue: or at least it would if the film wasn't as painstakingly predictable, brainless and formulaic as possible. This is possibly the film's biggest problem, there is no character development at all. Anyone who knows anything about film will tell you that character development is crucial to a film, as it's what drives a good film forward and often provides the story and the audience's emotional connection to the events - Wrath of the Titans completely fails to establish any character development, or any deep characterisation at all for that matter, disconnecting us as the spectator and making us uninterested and uncaring to what we are seeing. With an expensive CGI extravaganza forming such a formulaic and mindless spectacle, Wrath of the Titans provides no reward to its viewing audience. This technically ambitious yet overlong, dull, boring and bland film boasts an impressive array of acting talent who do little to show their potential through characters with no emotion or depth, resulting in a film that at the end of the day we just don't care about. With a budget and cast like Wrath of the Titans has, a film really shouldn't be this poor. Wrath of the Titans is still showing in cinemas across the UK.